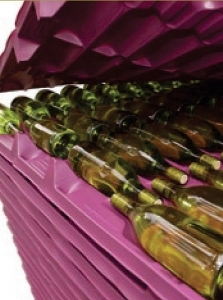 Palletized system to store and cellar bottled wine puts technology to work in your cellar. Compact and cost effective. Modular system comprised of layers of moulded trays with individual bottle cavitie. No more bottle-on-bottle contact. 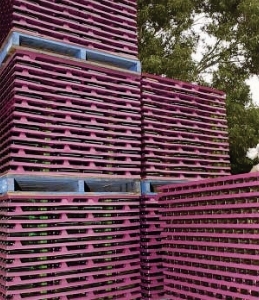 As each tray is placed on top of the other, it is filled with bottles until stack is built.